We are a remarkable entity in this domain, engaged in offering a qualitative assortment of Redemption Games. - Size: H72", W36", D72"
We are a leading and well-known names occupied in offering of Basketball International Redemption Game. Our clients can avail this range within the promised time-frame from us at rock bottom prices. With aid of our talented team workers, we have been delivering the finest quality variety of Tam Tam Monkey. We are importers for virtual reality games such as bowling, car bike etc. we have done setup in malls such as Raghuleela vashi. All-time favorite of all age groups. USP of every entertainment centre. 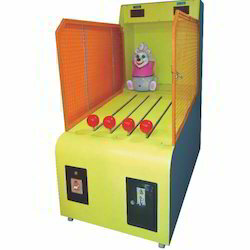 "Hitting Master" - This game has a touch sensitive LCD display where using a soft hammer children have to hit the targets and make high score points. 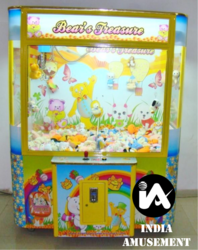 Banking on the individual requirement of the clients, we offer wide array of Prize Redemption Arcade Game. Our entire product range is acclaimed among the clients for its creative patterns and exceptional finishing. Offered product line is manufactured with accuracy and comes under budgetary limits.